The Moto G became the go-to phone for many people that wanted no fuss and guaranteed quality at an affordable price. Now the line is under new leadership, with new branding and retooled design. Lenovo phased out the Motorola name in favor of the Moto sub-brand, which now stands along the in-house Vibe brand. While still produced under the name of the iconic American brand, the G4 family is actually the first set of devices to come out since Lenovo acquired Motorola. In some markets, the phones are still distributed by Motorola Mobility as a company and the connection to Lenovo is not as apparent as on others but make no mistake, Lenovo is the company behind the Moto product portfolio now in one form or another. Lenovo or not, the new devices in the Moto lineup have retained the unaltered Android experience that Motorola phones were known for under Google. It wasn't just the software that made the G series so popular, their design and build were always above their price range. The Moto G4 is no different. It has a high-quality build and a replaceable back if you want to add a splash of color to it. Inside, water repellent nanocoating protects the phone's interior from damage (the phone isn't designed to be submerged like the G3) but should be splash-proof. 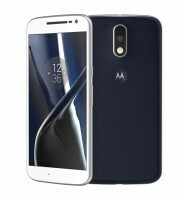 The Moto G2 was the only model that had stereo speakers, and while the Moto G4 has only one, it's still positioned on the front. It's this kind of attention to detail that made the G-series so popular. To get the obvious things out of the way, no, there's no fingerprint reader on the Moto G4, you'll need to upgrade to the Moto G4 Plus for that. The G4 Plus also brings a better still camera, 16MP, but the sealed 3,000mAh battery remains the same. 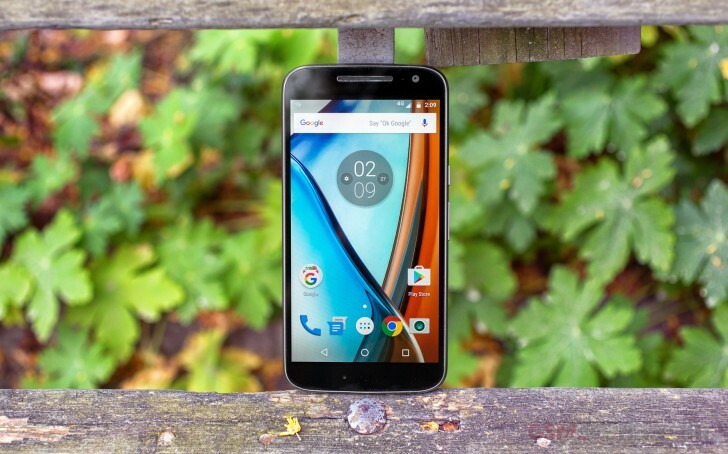 The Moto G4 Play is another model from the product family. It's a completely different device with a smaller 5-inch display, unlike what the name might suggest. While we haven't had a chance to check out the G4 Play, we can testify that the regular G4 we're reviewing today feels fast and smooth despite the conservative choice of chipset. It seems that without the burden of a skin and extra background services, the Snapdragon 617 can really shine and performing any task on the phone feels surprisingly brisk. We're happy to report that at least at first blush all these sub-brands have not divided the attention of the tech giant and the Moto G4 feels like a solid, well-built product. Let's find out if it holds up to closer scrutiny. Worst phone motog4, heating problem, im using from last 1 year, i am faced many problems with phone, any tym voice problm , ringing problem. no front flash . battery backup very bad.